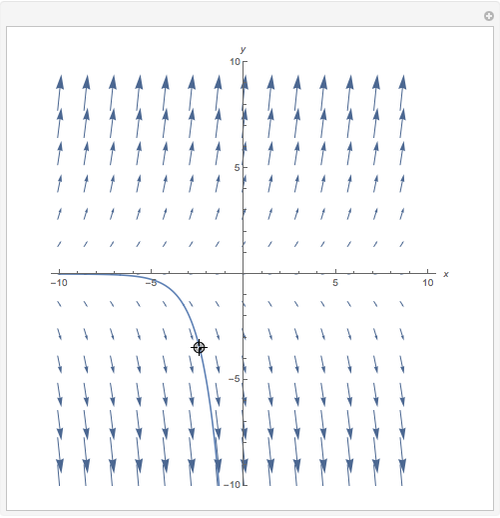 You can get different solutions of the boundary problem , by dragging the locator. 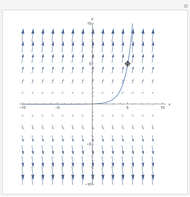 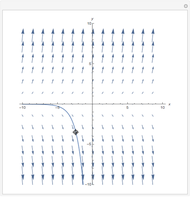 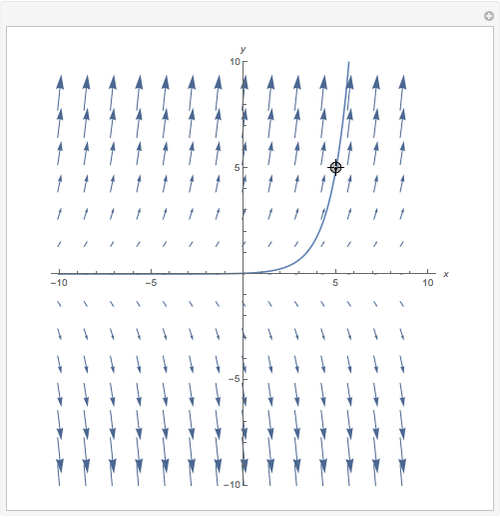 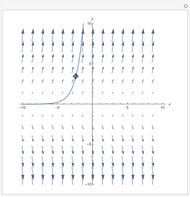 The background graphic represents the vector field associated with the solutions of the differential equation, showing the direction of the tangent line at each point. 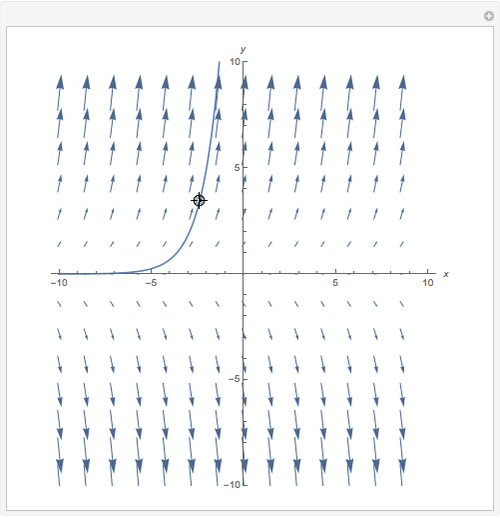 Pablo Alberca Bjerregaard "Cauchy's Problem"